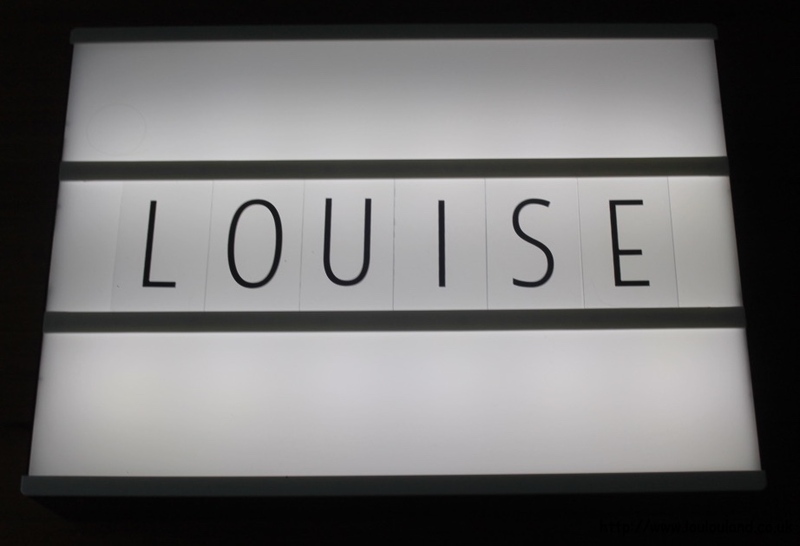 Have you ever had one of those days where you just can't concentrate on anything, and where if someone asked you your name, you wouldn't be able to remember it? Well I think I'm having one of those weeks! Last night I started uploading a You Tube video only to notice this morning that I'd actually updated the wrong one! Argh bigger disasters at sea I suppose, so instead of getting a Primark haul, today your getting another collective home haul instead. Of course I hadn't edited any of the photos that I needed, so guess what I've spent all afternoon doing! It's been a bit dull and rainy this afternoon though, so I've been chilling out with a few candles lit and working on my tappy lappy, as mum affectionately calls it. 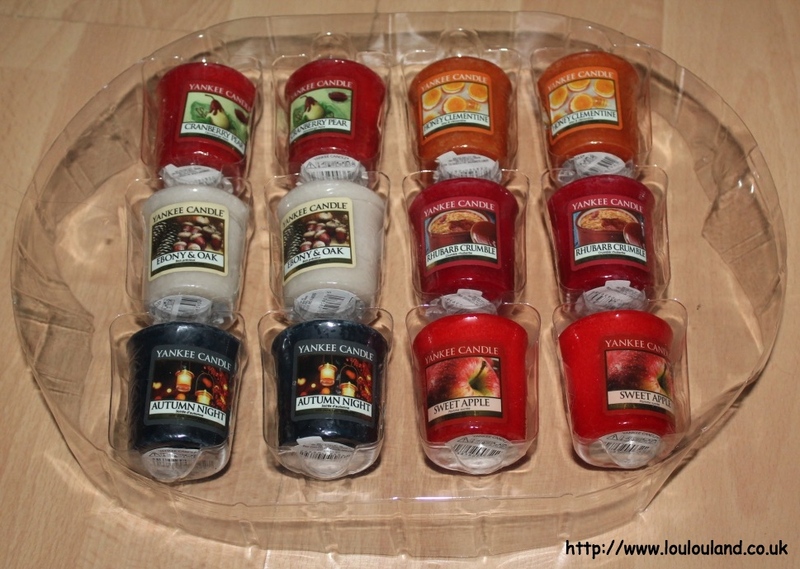 it therefore makes sense to start off this haul with a few (or a lot of) scented candles. 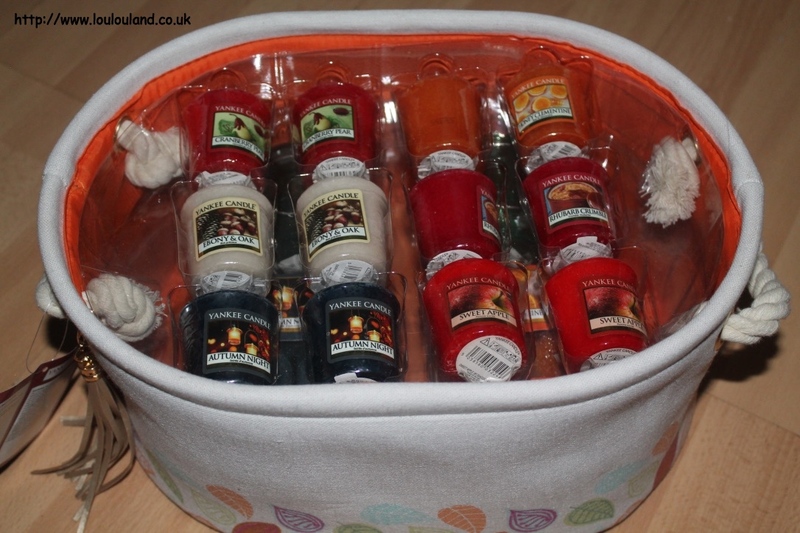 In the last home haul that I posted I showed you a lovely hamper of Yankee Candles from QVC that I'd picked up on auto delivery, well just before I'd finished that post my second Yankee Candle 39 Piece Seasonal Hamper arrived. 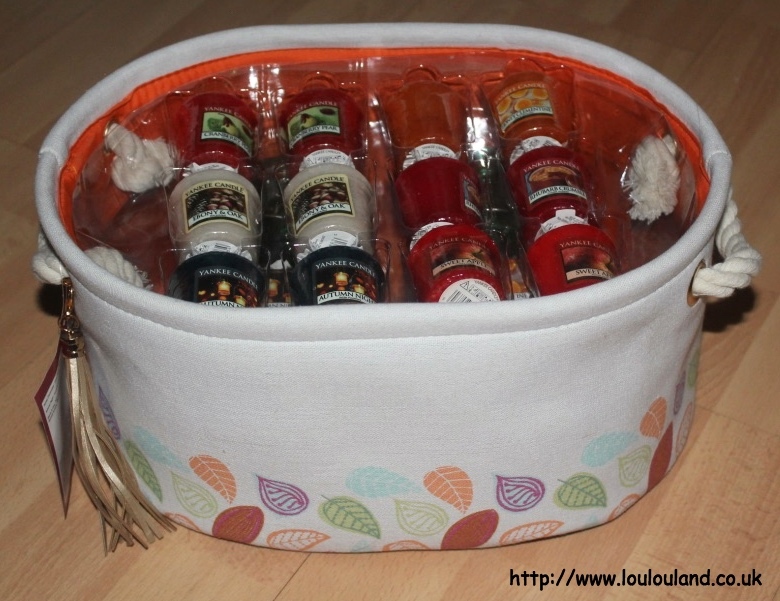 Again it came beautifully packaged in a sturdy canvas storage basket, and like before it contained, 12 of Yankee's famous votive / sampler candlers. You got two of each in the following autumnal fragrances, Autumn Nights, Sweet Apple, Ebony and Oak, Rhubarb Crumble, Honey Clementine and Cranberry Pear. 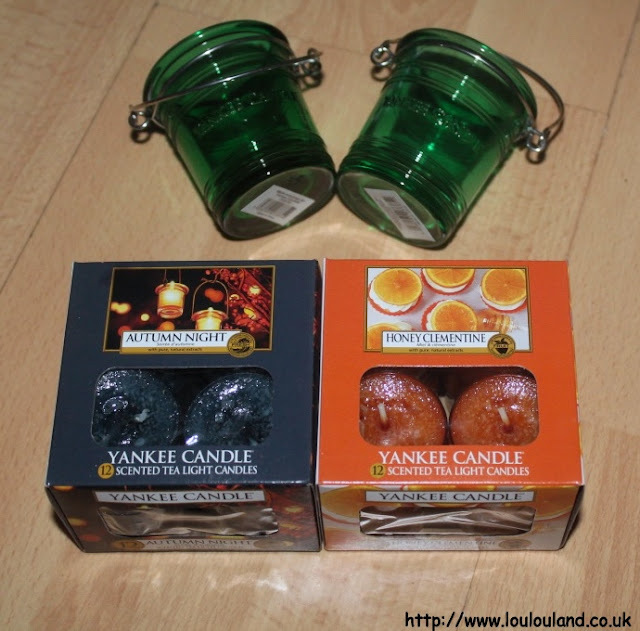 It also contained two green bucket style, glass votive holders, and two boxes of 12 tea lights, in the Autumn Night and Honey Clementine fragrances. I've got to be honest and say that are a few fragrances in this drop, that just aren't me, I'm still going to burn them and try them though, and if I don't like them, I may hold a little Yankee Candle giveaway later in the year. Last time I looked this kit was actually still available on QVC UK all be it for a higher price than what I paid. 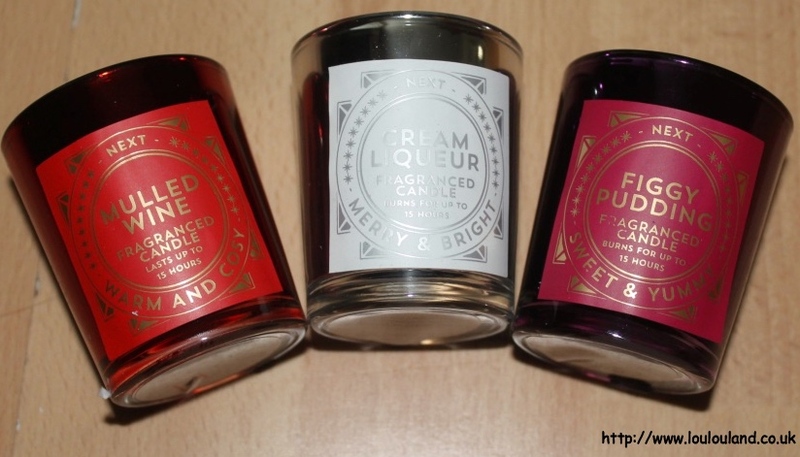 I think there kits are a great way to try some new fragrances, and I'm in love with a couple of new discoveries, Cranberry Pear and Rhubarb Crumble. If you can't get your hands on this kit, most of these fragrances should be available from various other Yankee Candle retailers. Although I love my Yankee Candles, over the last few months I have been trying to try out a few different candle brands, and after buying my mum one of their Parma Violet fragranced candles for her birthday, I recently bought myself a candle from Flamingo Candles, in the fragrance Mango and Dragonfruit. Believe me this smells as good as it sounds, sweet, tangy and mouthwateringly fruity. 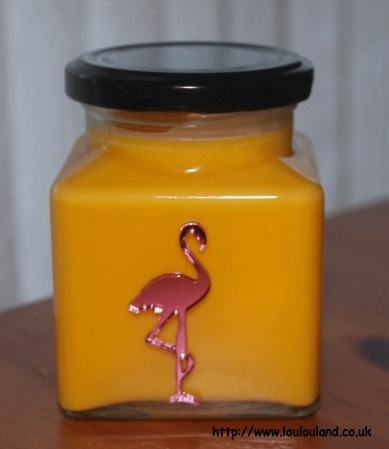 I love the sparkly acrylic flamingo on the jar and I'm in love with this candle. 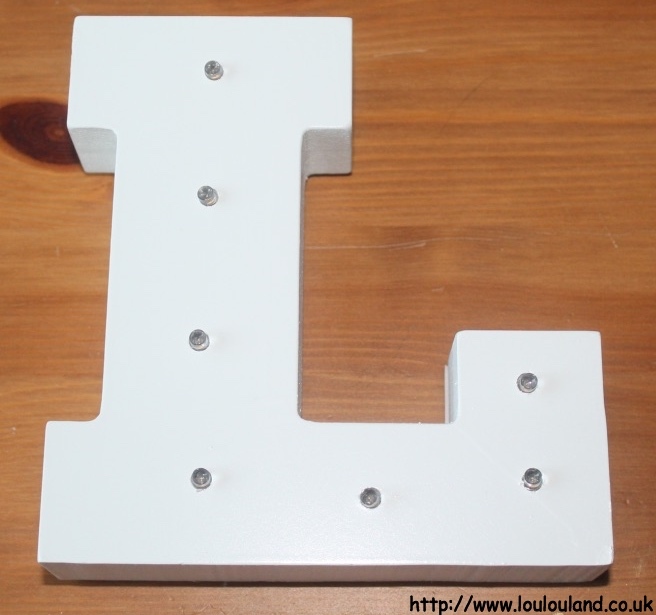 I got mine from the Littlewoods catalogue website but you can also buy Flamingo Candles from various retailers and of course from their own website. 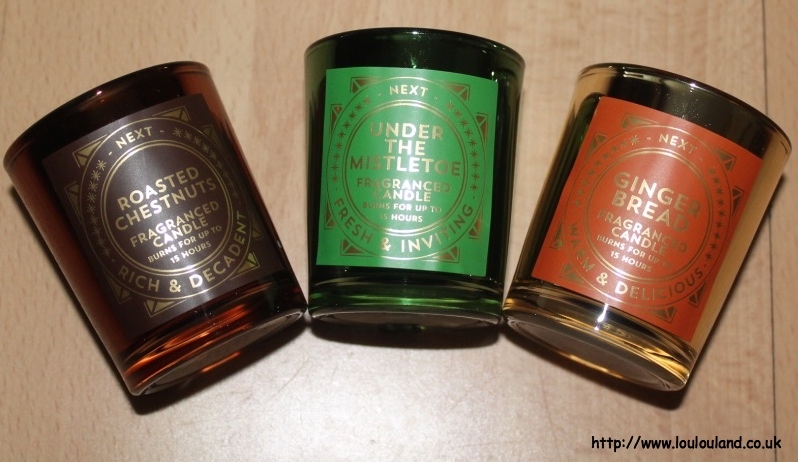 Someone that I have tried candles from in the past is NEXT, I particularly love their Festive Spice fragranced candles and reed diffusers and I've also been pretty happy with the other fragrances that I've tried from them but for a change I decided to try out some of their other festive fragrances. 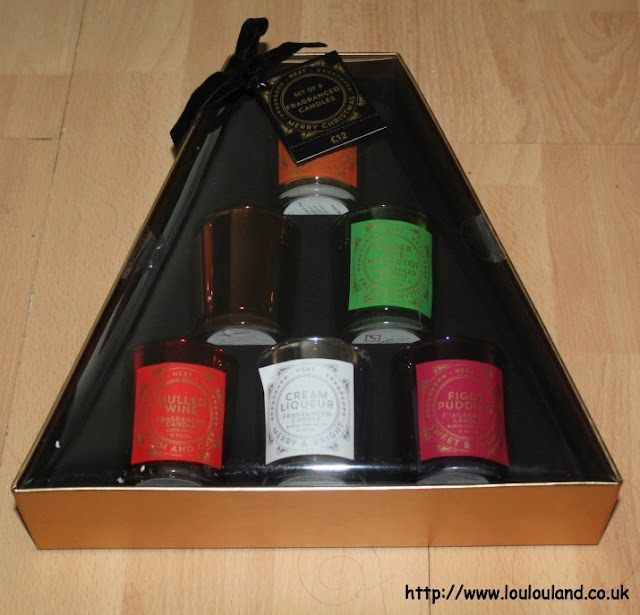 Beautifully packaged in triangle, tree like box, tied with a ribbon, this set of 6 fragranced candles, which was just £12 would make a perfect gift. 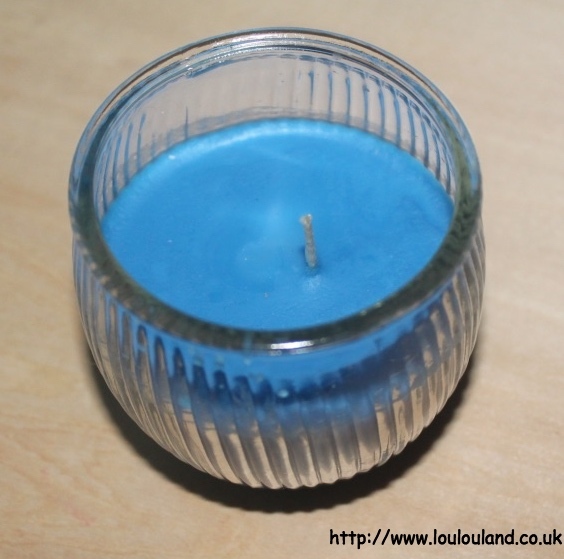 The box contained 6 candles packaged in different coloured, mercury glass votives, which you could probably reuse. All of the fragrances have a festive feel, and include, Gingerbread, Figgy Pudding, Under The Mistletoe, Cream Liqueur, Mulled Wine and Roasted Chestnut. Each candle burns for around 15 hours and whilst some of them don't smell quite as I expected, you get a really nice selection of fruity, warming, fresh and woody scents. All of the candles in this box are available in a larger size and I've already bought Mulled Wine in the full size. Many moons ago Yankee Candles produced a fragrance, also called Mulled Wine which I loved, and this is the closest fragrance that I've ever found to it. 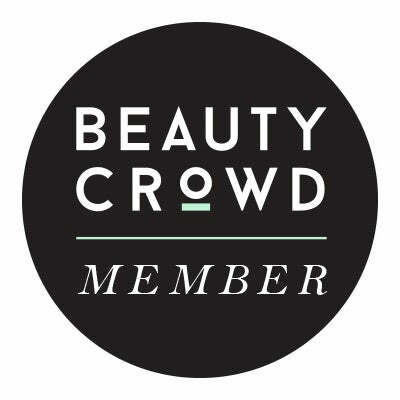 Please can we have this one in a reed diffuser too, NEXT, pretty please! I do love a reed diffuser, they make a great substitute for conventional air fresheners, and get a good one and you can easily fragrance a whole room, or even a house without the need to too many chemicals or a naked flame. 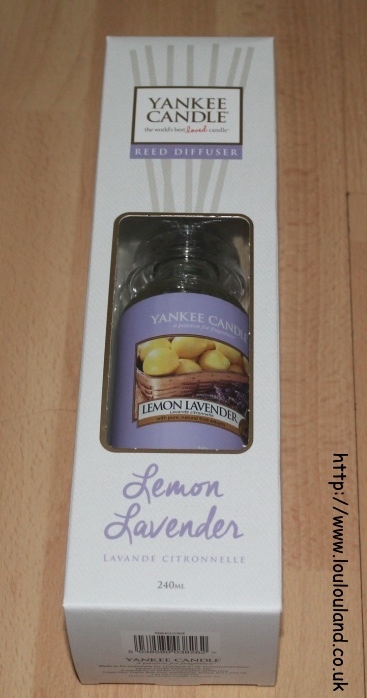 I do love NEXT's for ever day and for their festive scents, but again I always come to a Yankee and one of my favourite ever fragrances from them, is Lemon Lavender. 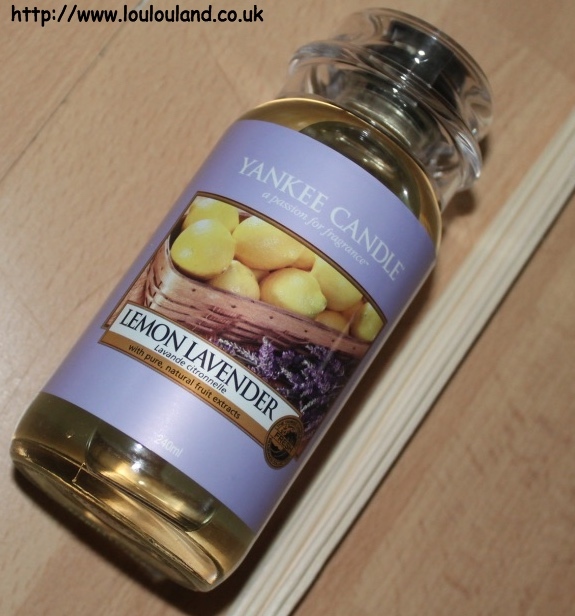 Yankee do a couple of different types of diffuser but I do love the traditional candle jar look of this one. I can easily get a couple of months out of one of these in my room, they key is to just keep turning the reeds to refresh the fragrance. I think I'm going to leave this one in storage till after Christmas now though, as I'm currently in a very foodie, fruity and festive fragrance mood at the moment, hence this purchase of yet another candle! Although I love Yankee and other brands for their quality and burn time, I couldn't resist this Poundworld purchase. 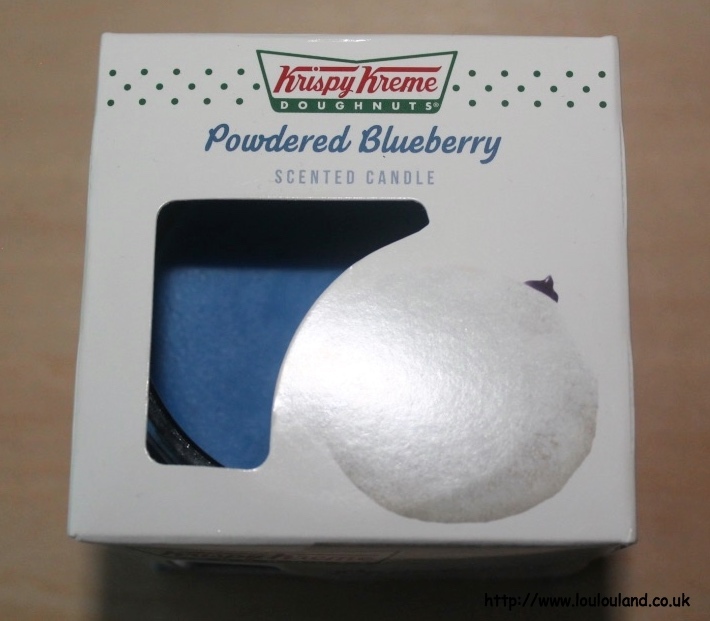 This is a lovely fruity fragrance that is supposedly reminiscent of a Powdered Blueberry Krispy Kreme, have never personally smelled one i can't say but this certainly smells edible! These can't actually that bad for the price I've had a few under the Betty Crocker, Skittles and Chewits branding and they all provide a pleasant if intimate fragrance. Ahh I do love a pound shop, and although it is still a tiny bit early, I've recently picked up a few things from Poundland's Christmas range. 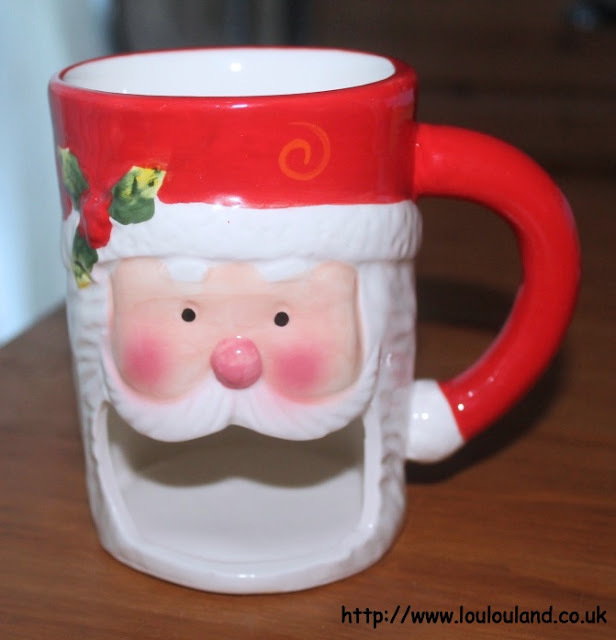 Ho Ho Ho indeed, I couldn't resist this Santa mug, made of ceramic, it has a cute little slot underneath for your biscuit. There isn't a huge amount of space for drink but I think that this would be perfect for little people. 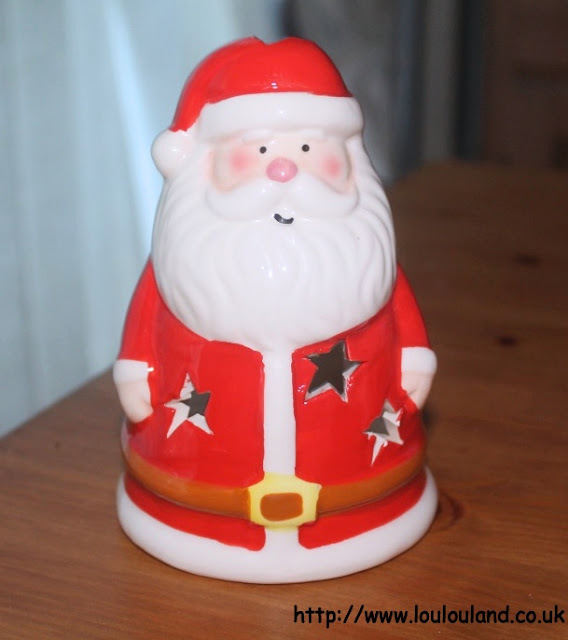 Over the years I've managed to accumulate quite a few festive character tea light holders from Poundland, and this little fella is my newest addition. I prefer to use these with battery operated tea lights, but obviously you can also use them with a real flame. Open any interiors magazine and something that seems to be bigger than ever before is lighting. 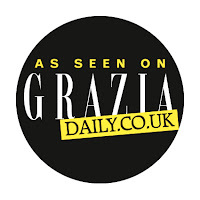 For many years, lighting was an essential but now it's become a trend and more often than not a design feature in the home. I love a bit of mood lighting and the next few pieces that I'm going to show you are about the light. The first buy is again from Poundland's festive range, and it's another set of battery operated string lights. They have some lovely ones at the moment, and the majority of them to me could be used all round. 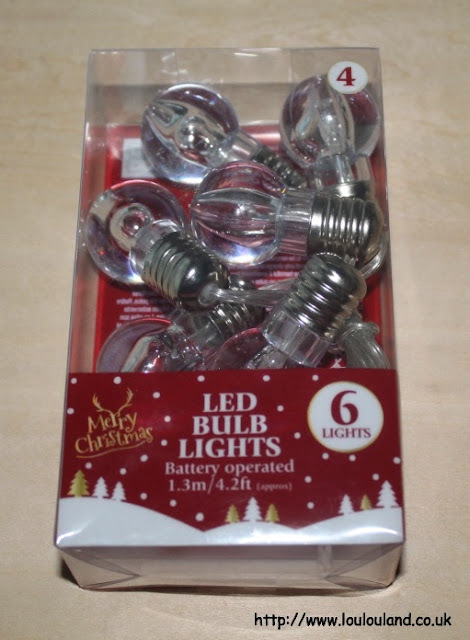 My mum's already picked up a set of white wooden star lights but I loved this retro looking light bulb string. It's make of wood and it has a smaller, squatter shape than my other Primark metal L. Again it's battery operated and the LED lights are also quite small. As well as the entire alphabet they also have a variety of numbers too. 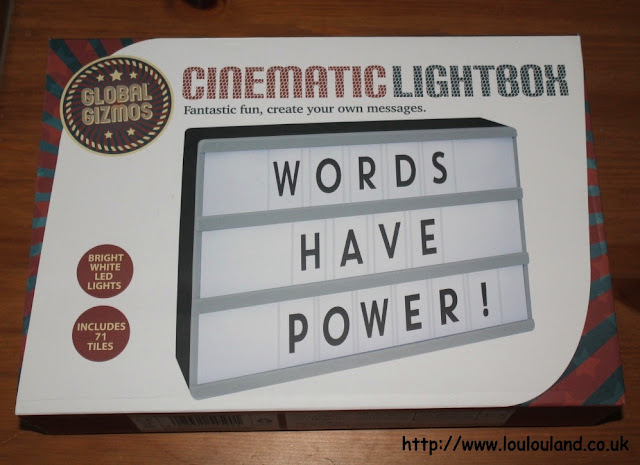 Something else that I got from Studio, was a Cinematic Lightbox. 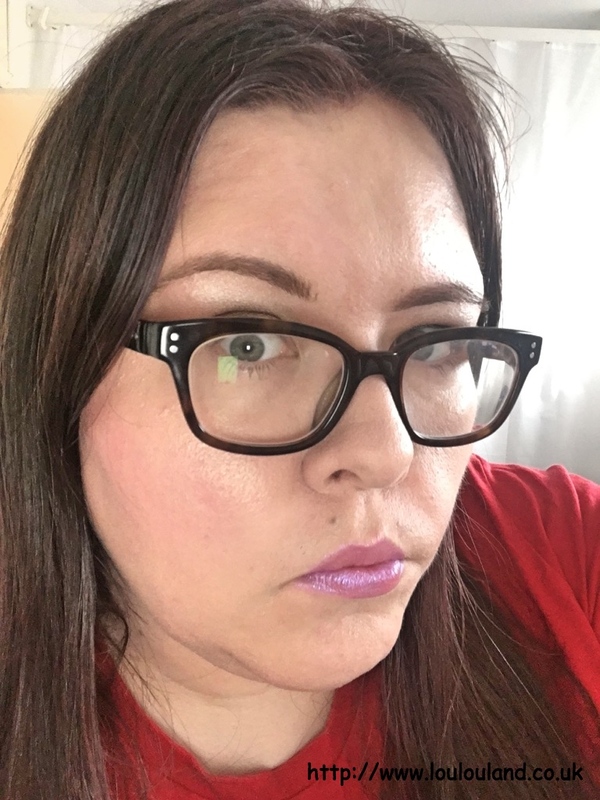 These are absolutely everywhere at the moment, and I've so many bloggers with them, that it was inevitable that I would jump on the bandwagon. This one which is around an A4 size was £14.99 and contained 71 letter, number and punctuation tiles. You can get these cheaper but it's better to shop around a little bit. Some of of them are smaller, and some of them don't contain that many tiles. 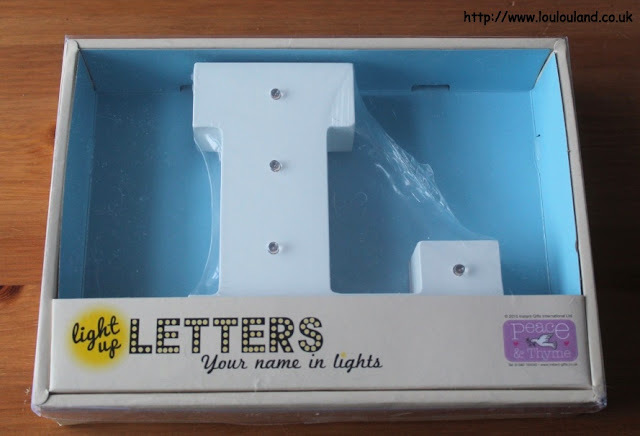 This one don't contain enough letter U's of all things so I had a little look on eBay and i managed to get myself another couple of sets of letters. The next couple of things that I got from Studio were from my bedroom. 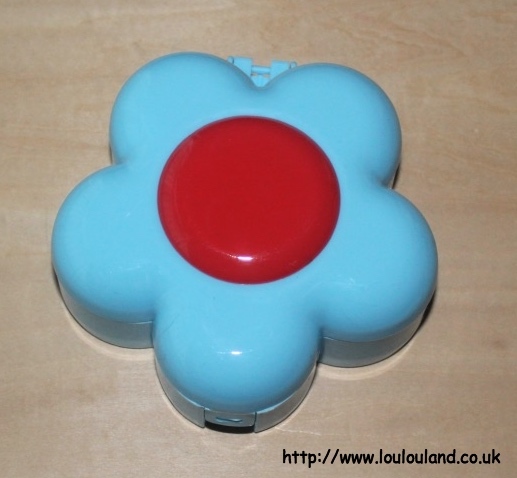 First up something pretty boring - this rubber doorstop which was just 99p. 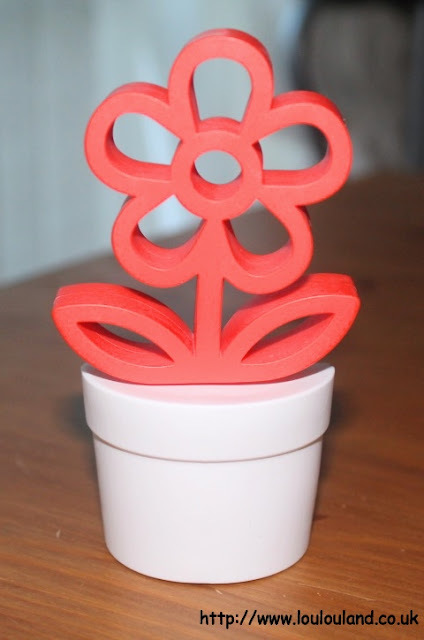 You can get doorstops pretty much anywhere, but I loved the flower detail on this one, my bedroom door has an annoying habit of slamming when any of the upstairs windows are opened so I'm hoping this quirky doorstep will keep it still. Next up bedding, I didn't really need another duvet set but I loved the colours and the floral pattern on this one, which was just £11.99 for the double set and also from Studio. 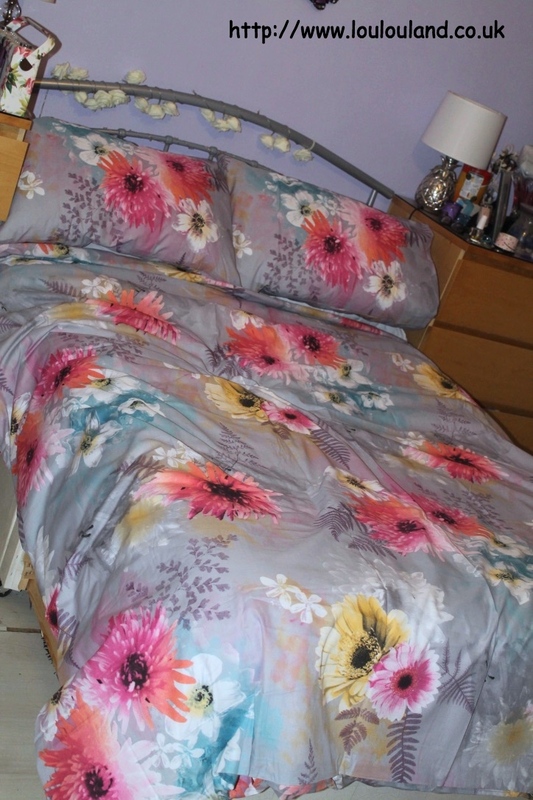 Not the best picture I'm afraid but this is what it looks like on the bed. If you're not a Studio customer, B&M stores have the same set for a slightly pricier £14.99. I love my bedroom pretties and when I saw this particular product on the H&M website, I added it straight to my basket. I love my pineapples and I now have a display of all my pineapple candles, and trinket boxes on one of my new IKEA Helmer's. 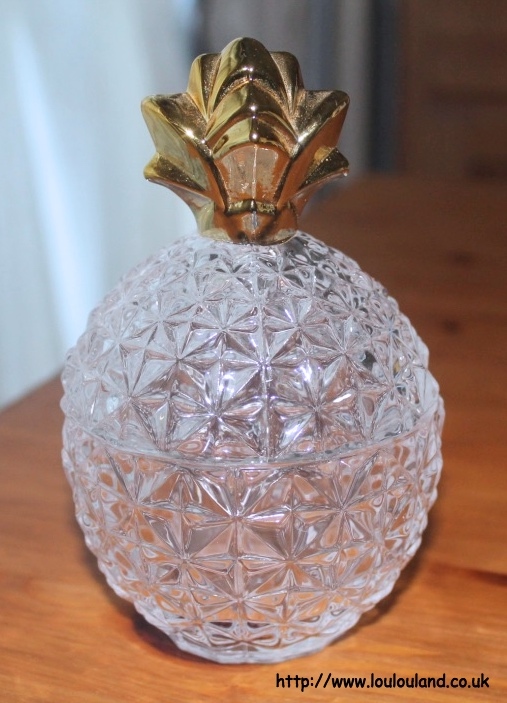 This large glass and gold tone glass jar was £7.99 and it also came in a few plain colours. 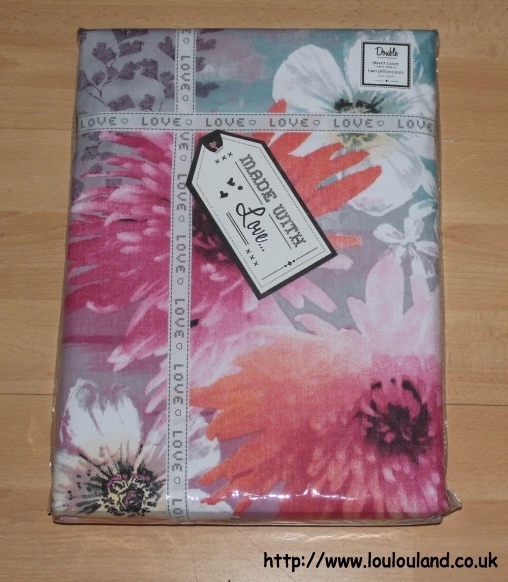 From sensible pretties, to fun and silly, and another few purchases from Tiger Stores. 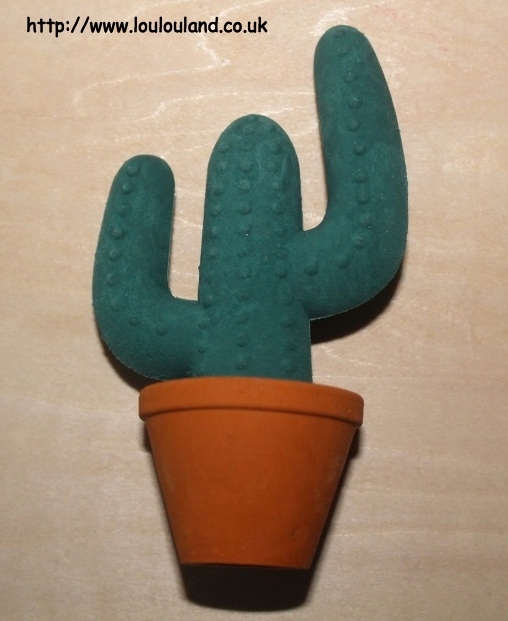 Like pineapples, Cacti have been everywhere this year, on cushions, clothing and even on the humble eraser. This one was just £1 and it has major kitsch appeal, I don't think I'll ever use it, but I love a bit of quirky stationery, speaking of which.. 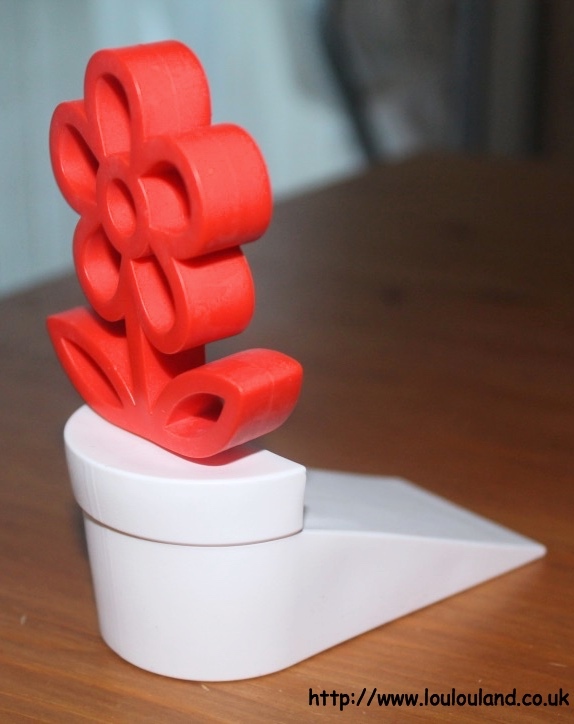 I love my daisies and this quirky set just appealed. 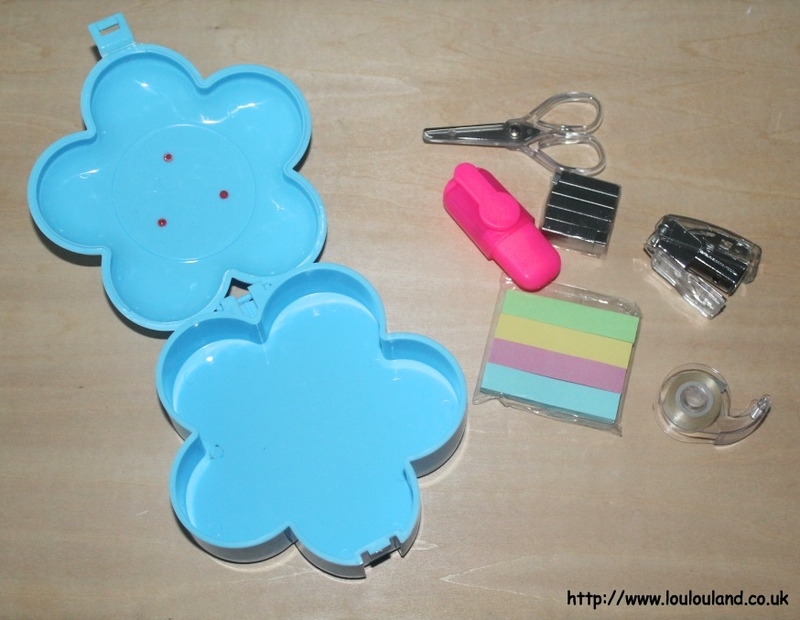 Again from Tiger, it's a plastic daisy case which contained a variety of mini stationery bits including a mini stapler and staples, mini scissors, a mini highlighter pen, a mini sellotape dispenser, and some mini sticky note page markers. 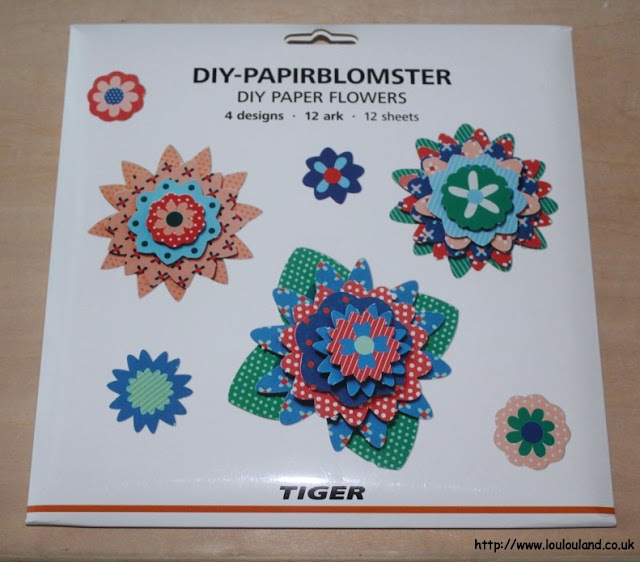 My final purchase in this haul and from Tiger, was a bit of silly one, a set of make your own paper flowers. I love my crafting and to be honest I haven't done enough of it lately. This kit makes a variety of layered paper flowers which you can then go on to use as card toppers or in scrap booking.